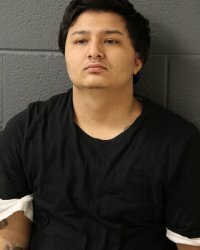 Cicero Police have formally charged a suspect in the August 22, 2017 killing of a 16-year-old boy who was playing basketball with friends at a local Cicero Park when assailants confronted them and began shooting. The victim, Irving Estrada, 16, was taken to Loyola hospital where he was later pronounced deceased. The shooting took place at 16th and 56th Court on Wednesday night, August 22, 2017. Two suspects were believed involved in the shooting and Cicero Police canvassed the neighborhood for any witnesses. On Thursday, one of the two suspects, Desmond Jones, (Birthdate March 25, 1997) was apprehended by Cicero Police. The Cook County State’s Attorney’s Office approved first degree murder charges this morning against Jones. Cicero Police officials said they are continuing to look for the second suspect in the slaying.